"The Journey to the Crown" host Shamcey Supsup-Lee might be considering as Steve Harvey's Filipina co-host for the upcoming Miss Universe pageant in the Philippines on January 30, 2017 at the MOA Arena. Miss Universe Organization and DOT have not confirmed who's in the actual running to co-host Steve Harvey, but there are a few serious contenders including Shamcey Supsup. Miss Universe 2011 3rd Runner-Up just recently hosted the 65th Miss Universe grand kick-off at the S Maison Mall, Conrad Hotel. The Architect Licensure Exam's 2010 Bar Topnotcher also led the Miss Universe 2016 sponsors and representatives signing contract at the Makati Shangrila Hotel last November 17. Shamcey joined the Miss Universe 2012 team as the host of the web coverage for the 2012 pageant. 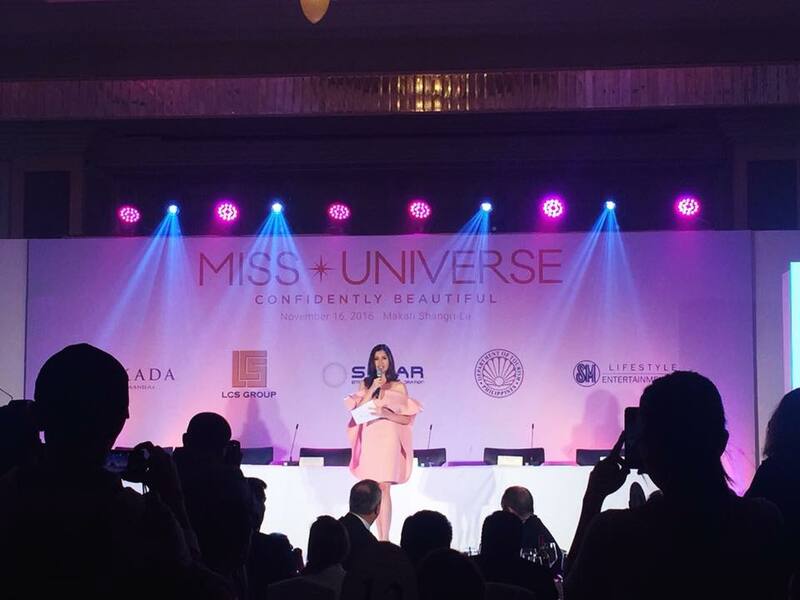 Tourism Secretary Wanda Teo confirmed during previous press conference that a Filipina will co-host the Universe pageant in Manila with American actor-host Steve Harvey. She said having a co-host would prevent a repeat of last year's blunder of announcing the wrong winner. DOT chief said organizers have already chosen Harvey’s co-host, but declined to give further details. Well let's see if speculations are true! Any guesses? #65thMissUniverse press launch hosted by Ms. Shamcey Supsup at Rizal Ballroom, Makati Shangri-La Hotel.